Tags: Bridal, Plum, Sharara, Shirt, Walima & Second Day. Plum banarsi chiffon fully embroidered shirt with sharara. 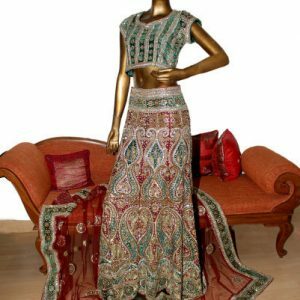 Sharara has been embellished border at the bottom and motifs all over the sharara. Pure chiffon dupatta have four sided embellished border and motifs scattered all over the dupatta.